The Patriotic Front (PF) has now blamed its failure to resolve the challenge of street vending on the privatisation of state owned companies which took place over 20 years ago under the MMD administration. Mwila has further continued parroting the PF pedestrian argument and accusation that some individual person who has never been in government sold the copper mines and many companies during the privatisation process and this is the reason they are failing to provide market space for people to trade in. He further claimed that the PF has workable solutions on street vending and that traders will not be left behind. 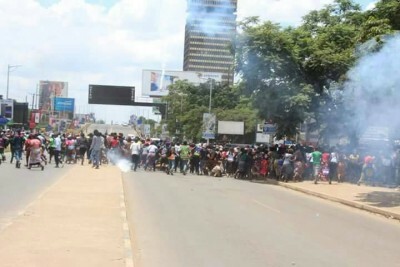 Lusaka traders have continued protesting and demanding that government provides them with trading space following the move to remove vendors from the Central Business District (CBD) in Lusaka and the closure of most markets following the outbreak of cholera.